Beverly Hills Med Spa in Los Angeles, California. $400 Instant Rebate! Call for Complimentary Consultation. Beverly Hills Med Spa was established by Aesthetic Award-winning Dr. John Kahen. Our goal is to deliver unparalleled aesthetic results using only the best beautifying technology. Our friendly and inviting staff assists our patient's in reaching their refinement desires and becoming their best selves. Our patients receive the most advanced technology in a discreet, comfortable location in Beverly Hills. We provide the most advanced anti-aging and fat reduction treatments, that leave patients feeling restored and looking natural. Pioneer in PRP hair restoration. PRP potency matters! We use the most potent patent pending PRP formula using the body’s own tissue regeneration mechanism to strengthen small hairs. 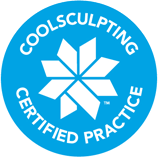 "I went to Beverly Hills Med Spa for a Kybella Consult and I saw their Coolsculpting machine. I asked about it and decided to try it out. I had my love handles treated and it’s been about 2 months and I’ve lost an inch and 2 pounds. I’m told I’ll continue to see results up to 3 months. Its worth the money! I could not lose these damn love handles to save my life!" 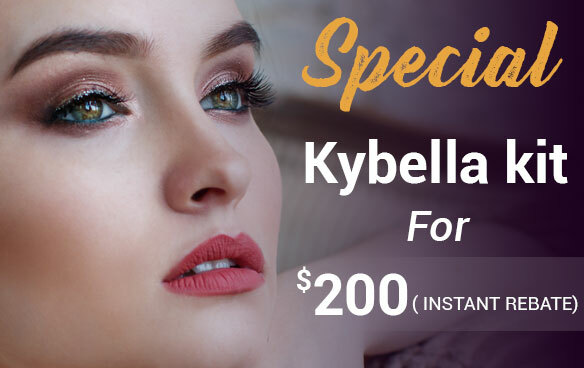 "Kybella is a life changer! I have my moms double chin and despite being petite everywhere else my damn double chin never goes away. Kybella got rid of the area that I can’t work out lol. The pain wasn’t bad and the swelling went down after like a week. I recommend BH med spa"
"I’m a very active mom of 3 and getting rid of my arm fat has been impossible. I went to BH Med Spa to try Coolsculpting for my arms. One month out and I have results, more results than I saw giong to the gym for months!! I 100% back up this treatment." "My husband got me 2 Coolsculpting treatments for my bday. I had my back fat done aka the area the area that never goes away! I’m 2 months out and my buldge has gone down by at least 50%!! There wasn’t any major pain during the treatment and I didn’t have any down time. I’ll be back to get my stomach done. I’d choose this over liposuction any day!!" and they make you feel comfortable." this spa to anyone who wants personalized care." results! Everyone was very nice and respectful." "BH Med Spa is amazing they’re knowledgeable and the procedures are a breeze." treatment, it’s not just about the money for them." possible with just going to the gym. I recommend this place for sure!" results with cool sculpting and I’m set to go back for treatment number 2!" "I just have to give a public thank you to the team at Beverly Hills Med Spa. They KNOW Botox! I swear I look 10 years younger, this is the boost I needed in life. I’ll be back for more Botox and I’m going to try Kybella!" "This is a friendly facility. I’ve done coolsculpting here and I had good results. I also did some Botox treatments and I love it! Highly recommended." face (vampire facial). They goal is to make you happy and comfortable. Highly recommend." "Bedside manner is key in the medical field and the staff have it. I was so nervous cuz I heard vampire facials hurt, the staff literally held my hand through it all! They helped me feel comfortable and safe." To learn more about our memberships and to receive information about exclusive deals, please enter your email below. You have been subscribed to our newsletter successfully. Your email not sent. Thank you for choosing BH Med Spa. #1 non-surgical fat reduction treatment in the world!